Do you ever stop to wonder how safe your family is? For many families, staying safe becomes more of a challenge than it should. From mistakes at home to those that can prove quite serious on the roads, too many families are living on the edge. If your family has been pushing the envelope, it may be time to refocus on your safety needs from top to bottom. · Driving – Think about all the times you and your family are out on the roads. Do you feel 100 percent safe each time out? If you have a teenager now wanting to drive as they reach that legal age, will you be comfortable with that wish? From the day they go to their area DMV for a learner’s permit to when they receive a license, your teen’s safety is crucial. The same goes for you and the rest of the family. Make sure all at home with a driver’s license obeys the rules of the road to cut down chances of a vehicle accident. · Home – How secure is your home from outside intruders? If you do not have a home security system, you could be one step away from a home intrusion. Too many individuals think such a system will cost them an arm and a leg. In fact, there are systems out there that are cost-effective and protect those in the home. Make sure if you get one that all family members know how it works. Also, make sure it is on at certain times of the day. This is especially true when everyone retires for the evening to bed. · Health – You may not think of health as a safety need, but it is in fact one of the bigger ones. What is your family doing to steer clear of injuries and even illnesses? Of the two, injuries are something you should do your best to avoid. What might seem as a minor injury at first could in fact be something more serious. An example would be if someone gets hurt at home doing repairs or improvements. Before anyone in the home embarks on doing such work, make sure all the equipment gets a review so that it is ready to use. Also look for any potential hazards such as bad wiring or faulty ladders or chairs one may stand on. · Vacation – While a family vacation should be fun, safety must be a priority. What if you or someone else in the family falls at the hotel you’re staying at? Another problem could be getting injured on a ride at a theme park everyone is at. While you should have a feeling of relaxation, that doesn’t mean safety should take a backseat. Although you can’t be at each other’s sides 24/7, do your best to lookout for one another. 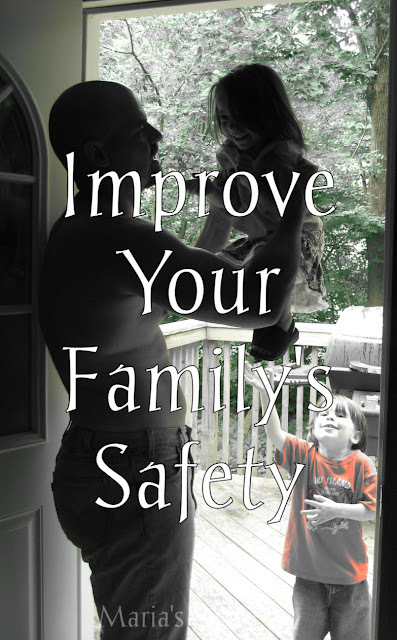 In doing so, you improve your safety needs and lessen the chances of family members getting hurt. Oftentimes, it comes down to commonsense. With that being the case, is your family as safe as it can be?